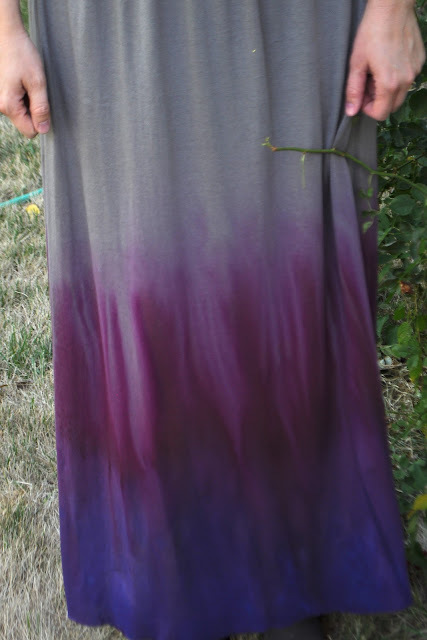 After sewing the skirt, the dye process was pretty easy. I used the Tulip one-step dye. It comes with a bottle that already has powder in it. You just add the water to the line and you're set. The package even has a set of gloves in it. I poured mine into a spray bottle. 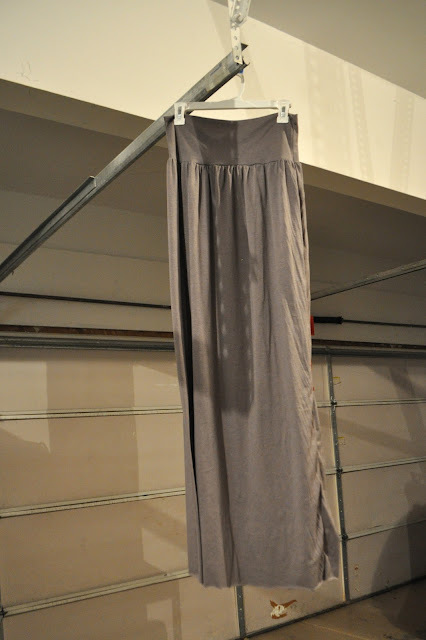 I also had some Tulip fabric spray at home that I used at the bottom of the skirt as well. The other spray bottle was filled with water. So here's how it went down. I took my skirt, put on my safety goggles, and hung it in my lab. Okay, it was really just my garage...and I didn't have goggles. I put a drop cloth underneath. I spray the middle section with water. 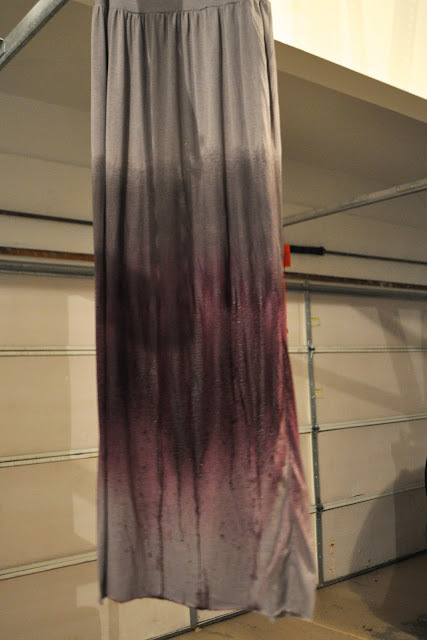 That way when I sprayed the dye it wouldn't show the actual spray marks, but it would blend well onto the gray. This is key. 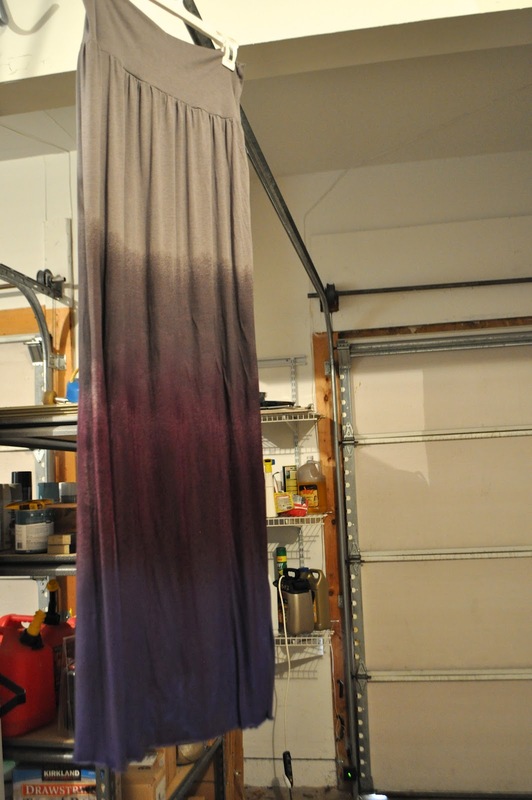 Then I sprayed the dye. 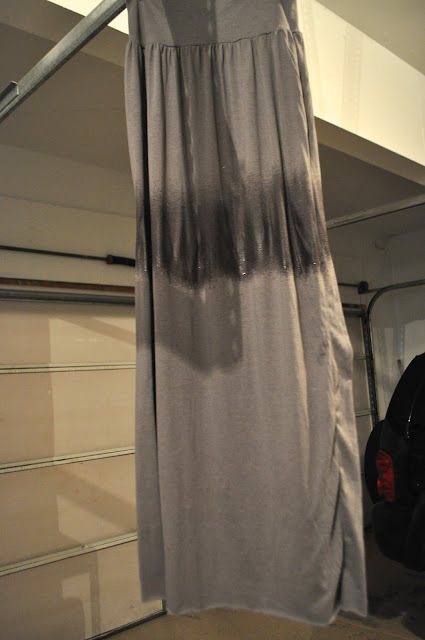 Lastly, I sprayed the fabric spray and let it all dry. The colors all blend well when you spray them at the same time. If you don't want to see the wrinkles int the fabric you have to hold out the skirt as you spray. Or, if you like the wrinkles for texture (like the picture below) you can just spray away. And you have a one-of-a-kind look. 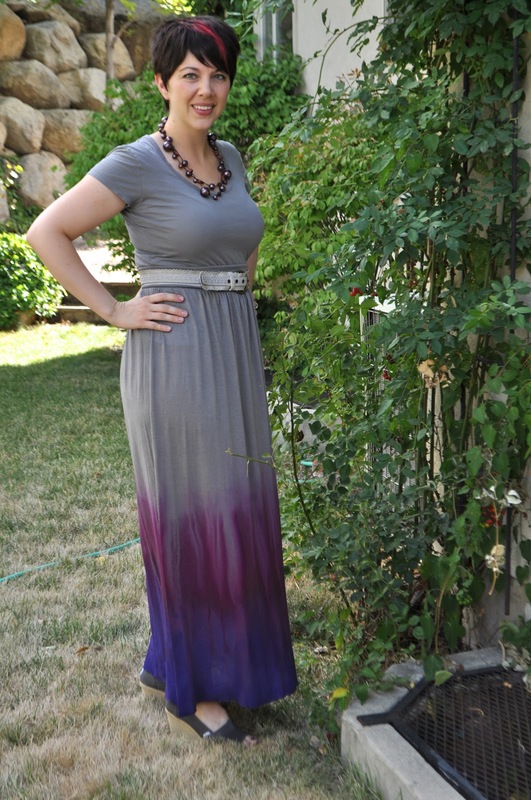 If you don't sew, you could easily buy a plain skirt and dye the bottom as well. I think it would look pretty with just one color at the very bottom, too. That came out great!!! Love the colour streak in your hair as well. Very pretty and I will try it out.